Through studying and teaching the Divine Principle, he discovered the power of God’s love and grace which prompts us toward a world of peace and prosperity. His story takes us back to his college days and his front-line work in the former Soviet Union (later the Commonwealth of Independent States). In 1982, Jack Whedbee was an athletic psychology student at the University of Tennessee when he first read the World Student Times, a CARP publication sharing a principled perspective on current events. Jack, a Bible-salesman at the time, was intrigued by and identified with the ideals conveyed in the CARP newspaper. Later, in the spring of 1983, Jack’s roommate attended a CARP event where he was asked to bring someone he could share his heart with. That’s when Jack first met CARP. Jack doing what he loves: teaching. Jack’s perspective expanded through the culture and content at CARP events, discussions, and seminars. He reflected on the influence of principles in everyday conversations and pondered about human potential more and more. Through his study of the Divine Principle, Jack could further appreciate the harmony within nature. Observing this harmony inspired Jack to elevate his relationship with God and open his heart to other ways God may try to connect through creation. After graduating with a Bachelor’s in Psychology in March 1984, Jack began witnessing with CARP and sharing principled ideals on streets and campuses across the Californian Bay. Jack’s discussions about principled life were usually relaxed and personal. Wherever he went, he was inspired to listen to and share varied ideas and ideals. 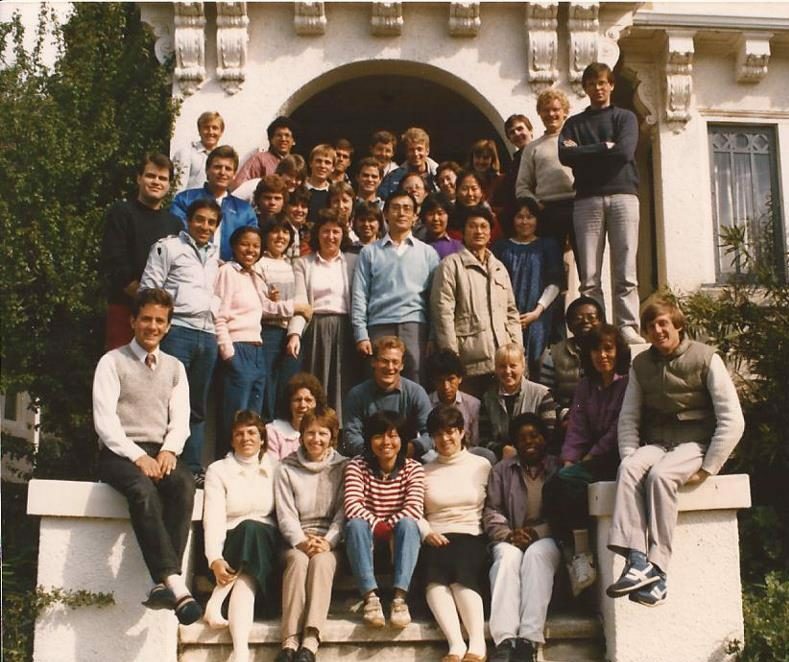 In 1990, Father Moon started a CARP student exchange program after the Berlin Wall fell and communism weakened. In December of that year, Jack flew to St. Petersburg and began teaching Divine Principle. Throughout his time in Russia, Jack lectured to anyone who understood English. Since his students were only just emerging from an atheistic regime, they often fell silent when Jack’s chalky hands scrawled quotes from the Bible. Based on this effort, the International Education Foundation (IEF) was developed to publicly share the teachings of the Divine Principle to a non-religious audience. Jack also spent his time and money on the local orphanages in between his two main hobbies: running and reading. Although the people of St. Petersburg touched his heart (and vice versa), Jack eventually had to depart for Volgograd in 1993 with his lovely wife, Yukari. In 1995, their daughter, Soon-Mi, was born in the Kalmykia region. There was a strong family community in Southern Russia, creating an embracing and supportive atmosphere for their young family. After years in the breathtaking Russian winter, the Whedbee trio flew back to the United States in 1996. 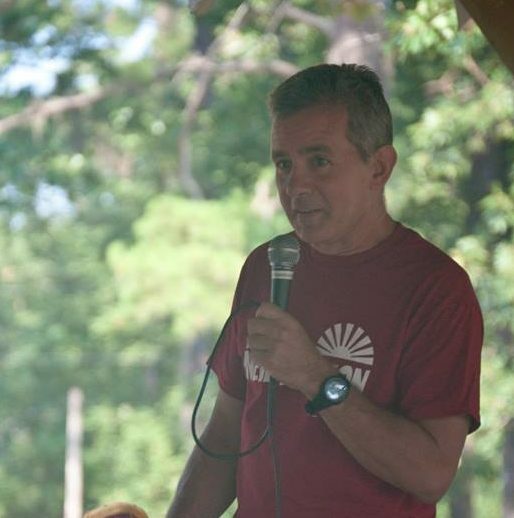 Jack’s eyes were open to God’s power and how much one person could contribute to the world. In 1997, Jack attended the Unification Theological Seminary and graduated with a Masters of Divinity in 2000. Though Jack hasn’t seen his Russian friends in years, he still remembers how God worked through him and his friends to create a better world. 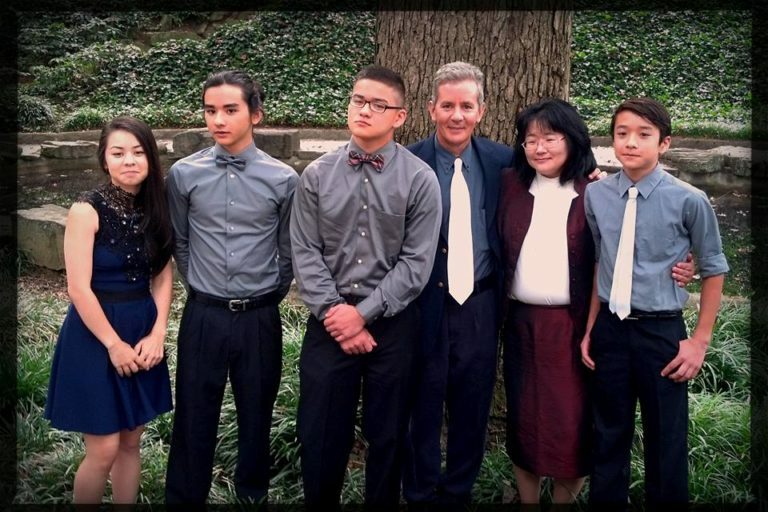 Jack hopes to instill his children, Soon-Mi, Jacob, Yuki, and Josh, with love for the Principle that impacted his life so deeply. Jack and Yukari and their busy children are usually at their Georgian home, tending to delicious tomatoes in their garden.